In this episode of Suite Spot, we take a look at the state of the hotel industry. With an incredible streak of 100+ months of RevPAR growth, it's a great time to reinvest in your hotel. In the What's News segment, Ryan analyzes some telling statistics from a recent STR report concerning the current state and future of the business. 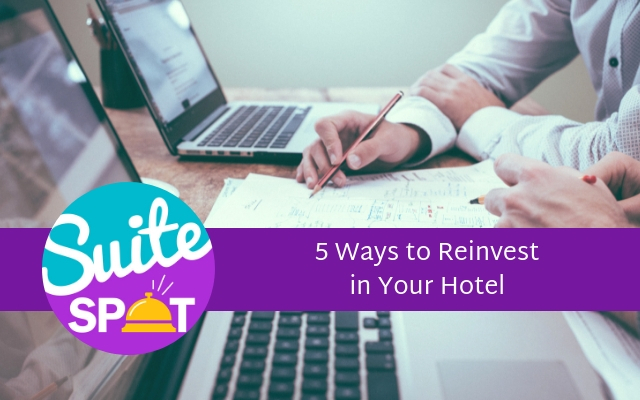 In The Suite Spot, Ryan counts down the top 5 ways to reinvest in your hotel during this extended period of RevPAR growth. We discuss everything from PPC advertising to property improvements to ensure that you are leveraging your profits in the best way possible in this time of RevPAR prosperity. We would love to hear your feedback to our list. What areas are you investing in at your property? You can reach us by either calling or texting us at 407-984-7455 or email us at info@travelmediagroup.com. Ryan Embree: Hello everyone. This is Ryan Embree, the host of Suite Spot, a hotel marketing podcast. Today is our 10th episode and we've got a great exciting episode for you all. I wanna first off, thank you for all the support and engagement that we've been receiving since launching this podcast. 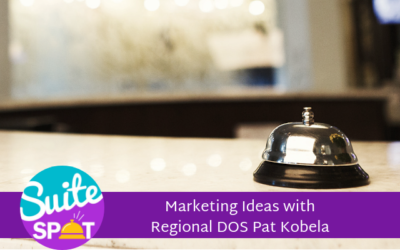 We're super excited about doing this and we love to hear that there is an appetite out there for this sort of information, so feel free to share this with hoteliers that are looking for that inspiration or just looking for some good information on hotel marketing. Today in our what's news, we're going to be talking about a different streak and that is a data report that was done by STR which just announced in July 2018 that the US hotel RevPAR growth has now reached over 100 straight months. So this is awesome to hear. Obviously we love streaks like this, a time of prosperity for the hotel industry and saying that this report went a little bit more depth on some specific numbers. Ryan Embree: I won't dive too deep into them, but since March of 2010 when this streak first started, we've seen an average monthly ADR growth of 3.4 percent and an average monthly rev par growth of 5.8 percent. With all things being said, we've got a really healthy industry on our hands right now. They did do some forecasting STR did in regards to what the future holds for rev par growth. They see a 2.9 percent for 2018 as a whole and in 2019 a 2.4 percent RevPAR growth. Love to hear that we've got a healthy hotel industry on our hands, but this also means that some of you in this time of prosperity might have some extra revenue and if you're looking to maybe reinvest that extra revenue to grow your business even more, that's what this episode's about. Ryan Embree: We are going to be looking at the top five ways that you can reinvest that extra revenue to your property, so as we transition into our Suite Spot today, again, we're going to be looking at the top five ways to reinvest that extra revenue that we have at the property and we're going to kind of work our way up. So number five is upgrading the customer experience using technology, so from HITECH with the upcoming PhoCusWright conference as well. All of these new technologies are out there about AI and machine learning. In 2018, it's more accessible ever to start implementing this in the customer experience, which really would take your property to the next level. We've seen it where brands are now starting to implement Alexa's or those smart home devices in the room. This is a great way, again, to separate yourself from the competition because this is something we're projected to really start implementing throughout the customer experience. Ryan Embree: The only thing I would caution you with this is - I talked to a lot of hoteliers about this - is make sure that when you implement something, you're doing it for the right reasons. 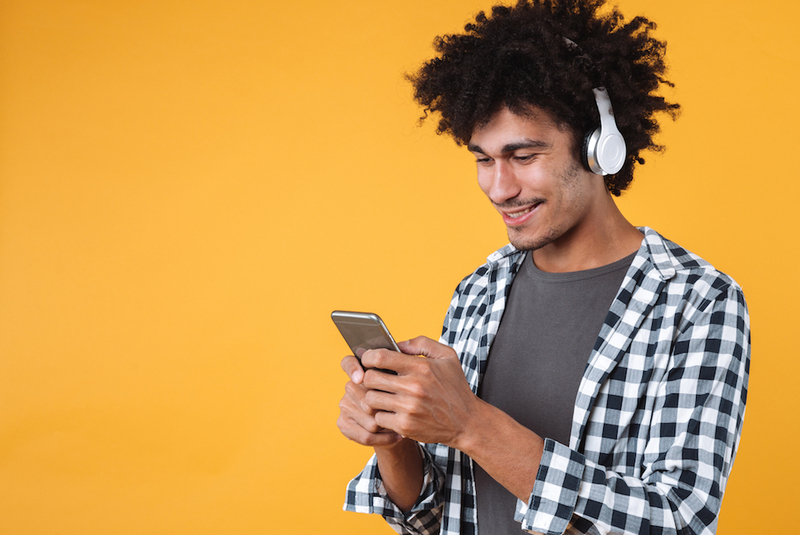 It might look super cool to have something that has an app that automatically opens your blinds or shades, but what does that really bring to a customer's experience? Right? Maybe talking to an Alexa for extra towels that really takes it to the next level and helps with customer service at your hotel. So if you are going to be implementing some customer technology, 1. make sure that it's something that adds to the customer experience 2. make sure it's simple. No one likes to get handed a long list of directions on how to use something. It becomes frustrating that actually can negatively impact the customer experience there. New Speaker: And I would also suggest, if this is your first time looking into this new technology, you've heard about it, maybe you've seen it showcased before at conferences or at other hotels. Start simple. Anything from upgrading your TVS to a smart tv or maybe upgrading your clocks to something with Bluetooth in them. Again, you don't want to frustrate the customer or make it to a point where it's very overwhelming for yourself to be able to handle this and the reason really we started this at number five versus a little bit higher is you know, although this is a great added amenity and value to the customer, some of the other things we're going to be talking about this on this list might yield a higher ROI in that sense to get a return on investment. Implementing technology and upgrading that customer experience is number five. Ryan Embree: Okay, so next on our list is number four: PPC or paid advertising. This is such an extensive subject. We really could do an entire episode on everything that PPC has to offer for hotels to really break it down. There's two types of search that we talk about when it comes to paid advertising, paid search through sites like Google and Bing, and when we first talked to hoteliers about maybe starting off on a strategy, we suggest really starting with one platform to start out and most of the time we recommend Google cause it's the most popular search engine. When we talk about Google, we want to find keywords that are relevant to the property without too much competition. Obviously those OTA spend millions of dollars on their marketing and their budgets, so trying to compete with OTAs or even your brand might not be the greatest strategy right off the bat. Ryan Embree: But the third thing when we talk about paid search is definitely want to track your performance. This is a investment where a lot of tools are out there to help you track ROI. Unlike a billboard where you kind of just stick that billboard out there and hope that you're getting a lot of traffic. This is a strategy where you can actually see the amount of views, the amount of clicks and the engagement from your travelers to hopefully convert into bookings. And then we took, we take a look at paid social, you know, Facebook ads and other spend again on social media sites. 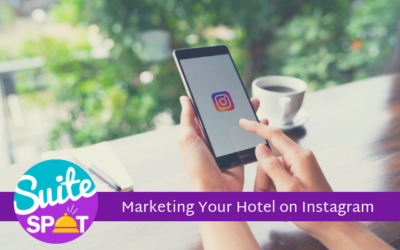 Again, with that we suggest to our hoteliers, start with one platform, Facebook again being the simplest and easiest, they've been doing this the longest target your market and your typical guest when it comes to your advertising. You wouldn't buy a billboard and just stick it on a side street or stick it anywhere. Ryan Embree: No, you want to make sure that that billboard's going in a place where the most traffic is coming for your hotel. The same is true with when it comes to paid advertising. You know, Facebook, they have a lot of great analytics. You can tell who are your followers, right? Are they male, are they female? What's the age? Their interests? So you can utilize a lot of that information, leverage a lot of that information when it comes to your Facebook ads, in your paid advertising on social media. So again, we can do an entire segment on this. There's so much to ppc out there. Aside from those tips, I would really suggest you know, have a clear strategy in mind and talk to an expert about this, you know, if that means going to a third party or an agency, you know, the great thing about PPC is it's not something that has a maybe a ceiling in order to get into. Ryan Embree: You can really start off slow and then build your way up. You don't have to throw a lot of money at it. Now you can, but if you do, again, make sure you're consulting with someone who really knows what they're doing number four: PPC or paid advertising. New Speaker: So number three actually really piggybacks on the paid advertising and PPC. You know when we talk about PPC, we're talking about directing or channeling all of our traffic to a specific site. So number three is investing in a property website and photo shoot. And obviously the end goal is to start cutting down on those OTAs. As we know in 2018 with the industry, the OTAs are always going to be a part of that revenue portfolio. There's really no way who completely shut them out of that revenue gain, but if we can channel and direct traffic to places where we can get direct commission free bookings, that's going to obviously cut down on those OTA expenses at the end of the day. New Speaker: And [if] you think about it, you know, I talked to hoteliers all the time and I tell them, when you think about all these OTAs right, it feels like a new OTA is popping up every single day. Different Commission plans. You've got Booking, Expedia, Travelocity, hotels.com, all of that. You can't even name all of them sometimes, but think about the place where a traveler would have to come in order to get that commission free booking. And most of the time if you're a brand, it's from your brand website and if you're an independent, you've hopefully already invested in a website. So with all those places that they can book mission a bookings, why are you not upping the places that people can come commission free? So by investing in a vanity website for your specific hotel, you create a space that's commissioned free and competition free for your travelers to go. Ryan Embree: So again, that's putting extra revenue dollars and taking away the commissions that are going to those big OTAs. And with that obviously we want to have some high definition photos of the property having a photo shoot done, you know, either by someone locally or a professional photo shoot can give a really unique perspective away from some of the content that you have. Hoteliers are changing almost on a monthly basis with the way their exterior looks, the interior. They're constantly doing upgrades, so sometimes those pictures that you took three or four years ago might not look like the same property. So having a fresh constant update with a new photo shoot really helps the travelers get a better perspective. If you think about it with Facebook and Instagram, that's the way that these travelers are now absorbing their information is through pictures. That's why instagram is so popular. Ryan Embree: So the more pictures you can get out there about your property, the better. A few tips when we're talking about investing in a website, make sure obviously that this is responsive. Travelers more than ever are now starting to book via their smartphones. So if you're investing in a website, make sure that there's booking capabilities, but it's also very mobile responsive. And that is why investing in a property website and photo shoot is number three on our list. New Speaker: So number two on our list of the top five ways to reinvest [in] your hotel is review acquisition strategies. So what I mean by that is we know the importance of reviews and the impact that it can have on hotels are now more than ever, travelers are trusting this user generated content and reviews the other travelers are leaving and this really can determine first if a travelers booking with you, but second, what you're able to charge in regards to your competition. Ryan Embree: So the better your reputation and obviously the higher rates can be and that means more revenue for you. So that's why we kind of put this at number two is because of the significance reviews and star rating can play when it comes to a hotel. In their ADR and RevPAR. So when I talk about review acquisition strategies, obviously the goal is to get as many good reviews as we can to TripAdvisor and OTA sites and other other review platforms. There's a couple different ways of doing that, right? We've seen the TripAdvisor cards. Um, we've had some physical reminders at the property, whether they be hangers for the door or signage at the front desk, something that's gonna, get that traveler to your TripAdvisor or to leave you a review. The second, which obviously we partner with at Travel Media Group is post-stay email surveys. Ryan Embree: So ways again that you can just get more and more of these reviews because at the end of the day, that is a major component to TripAdvisor's ranking algorithm, which is the quantity of reviews. Focusing and reinvesting in your reputation can pay extreme dividends when it comes to ADR and RevPAR in the future. So that is why number two is review acquisition strategies. New Speaker: All right, so now we've come to the top way to reinvest in your hotel. And number one, we have chosen as capital investments or property improvements. So although sometimes these improvements can be extremely costly, they also can see a huge ROI for a hotel. The one thing that I would take away from when we talk about capital investments is making sure that you're using those capital investments in the right way. And what I mean by that is there again with reputation tracking are so many tools out there to show where the best use of that capital is when you're thinking about doing renovations. 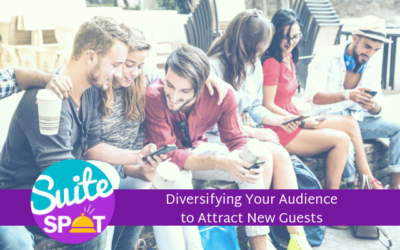 Ryan Embree: Before we had all this review content from guests, hoteliers were really just taking a shot in the dark when it came to what they felt was going to make the biggest impact on their business. But now with so much constant feedback coming in from the traveler reviews almost on a daily basis hoteliers can really get into the nuts and bolts of what's costing him or her business at the property and they can look at what is gonna make the most bang for their buck. When it comes to the renovations. New Speaker: For example, when a hotelier is going through his reviews, not just the negative ones, but even the four star ones and he's starting to find common themes through those four stars that saying, "I would have given this property a perfect score, but..." you know, and they find that common theme of maybe noise level, right? Well, that's that one aspect of their customer experience is holding them back from being a perfect five star rating, so that's the thing that is preventing them from taking their business, their hotel business to the next level, so that's something that they can invest in for the future. New Speaker: Another example is another property that we worked with showed that 37 percent of their reviews mentioned their elevator. Now when we dissected that and we went in more in depth into those mentions, we found that a hundred percent of the time those mentions were negative. So we've uncovered there a place that is either costing them business or preventing them from taking that next step to their business. New Speaker: The other thing that I would focus on, you know when we talk about capital investment, is even human capital investment with when it comes to training your staff. Yes, renovations are great. A Nice lobby is it is amazing to look at and really can set the tone for a customer experience, but if your staff is not holding the standards of customer service or cleanliness, that's another way to reinvest your money - through training or maybe hiring the right people to come in and help your property to take it to the next level. Again, this can be identified through sentiment analysis if you're uncovering that customer service seems to be a big issue or a red flag that are coming up constantly on your reviews, capital investments and property improvements, number one on our list of the top five ways to reinvest in your hotel. New Speaker: So thank you all for listening. I really hope you enjoyed again the top five ways to reinvest some of this capital into your hotel. I really hope this got you thinking about your property specifically and where there might be some ability to maybe invest in for 2019. I know we're coming around budget season. Thank you all for listening. I would love to hear your feedback. If you agree with the list, if you have some other things that you felt I missed, you can reach us in a couple of different capacities. We've got a direct line that you can reach us at 407-984-7455 or email us info@travelmediagroup.com. We would love to hear from you, our listeners. New Speaker: Thank you again for listening today and hope everyone has a great rest of the week. To join our loyalty program. Be sure to subscribe and give us a five star rating on iTunes. Suite Spot is produced by Travel Media Group, our editor is Anne Sandoval with cover art by Bary Gordon and content support by Amber Wojcek. I'm your host, Ryan Embree, and we hope you enjoyed your stay.